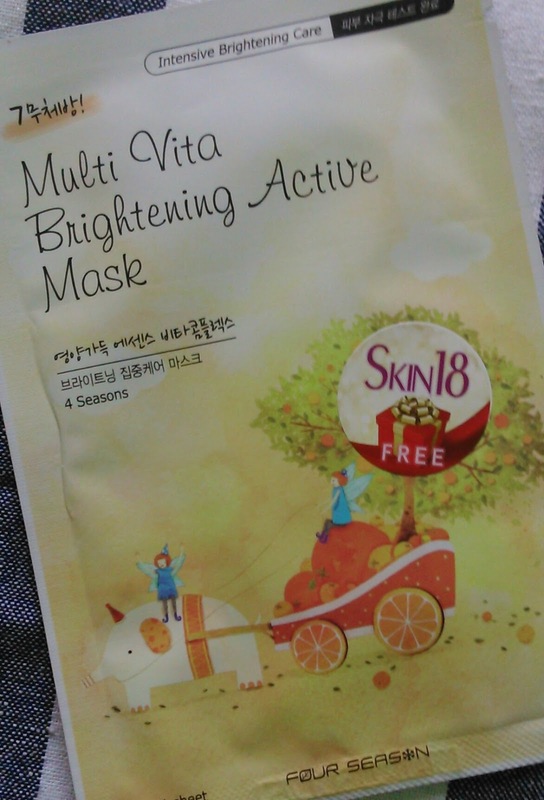 The mask contains concentrated multi vitamin essence that brightens and vitalizes the skin. The mask is similar to earlier masks I have reviewed, lightly scented, opaque essence and runny consistency. This time I squeezed out the essence from mask and applied thick layer to face. After this layer dried up I applied another layer. The skin is instantly hydrated and mositurized. And since this mask is a whitening mask it gives a temporary instant glow to the face. The essence is runny so you need to be careful about the essence dripping from chin. Overall a relaxing and conventional skincare regime this is. After completely drying I rinsed with cool water and all I was left behind was smooth skin. The mask mositurizes and hydrates the skin sufficiently. It is a great way to treat your skin when you are travelling or don't have time to pamper your skin. The masks show effect when used back to back and I guess you need atleast 2 batches of mask sets. Overall they are worth trying atleast once. Repurchase - Would love trying another series. Recommendation - Totally atleast once. Yes for instant glow and mositurization as well as ease of use.